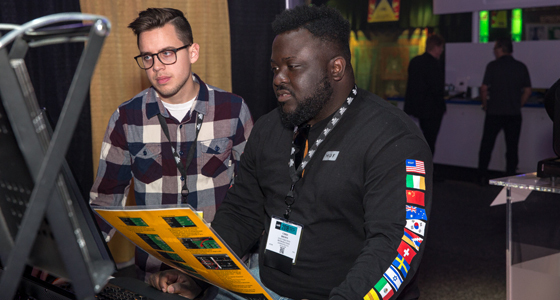 Experience the latest in digital media and projections at USITT19 with an immersive playground complete with sandboxes and a jungle gym. 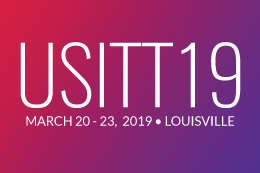 USITT’s first-ever Digital Media Playground will make its debut on the Expo floor with a central jungle gym featuring multiple projection sandboxes. These sandboxes will house projectors, objects for mapping, and tools for interactivity to encourage exploration and learning with various media and software platforms. “To be able to play with projection software and be guided by experts to explore something you had no idea you could create is going to be incredibly fun,” said USITT Digital Media Commissioner Joe Payne. The playful atmosphere is a hub for both beginner and experienced designers. The jungle gym will change platforms daily and will showcase mapping and blending techniques on a large-scale structure. The space is open to all on a first come, first serve basis for guided individual explorations throughout the Conference. If the space is full when you stop by, don’t get discouraged! A sign-up sheet will be available on site when the lab is at capacity, as well as for more in-depth questions and exploration. 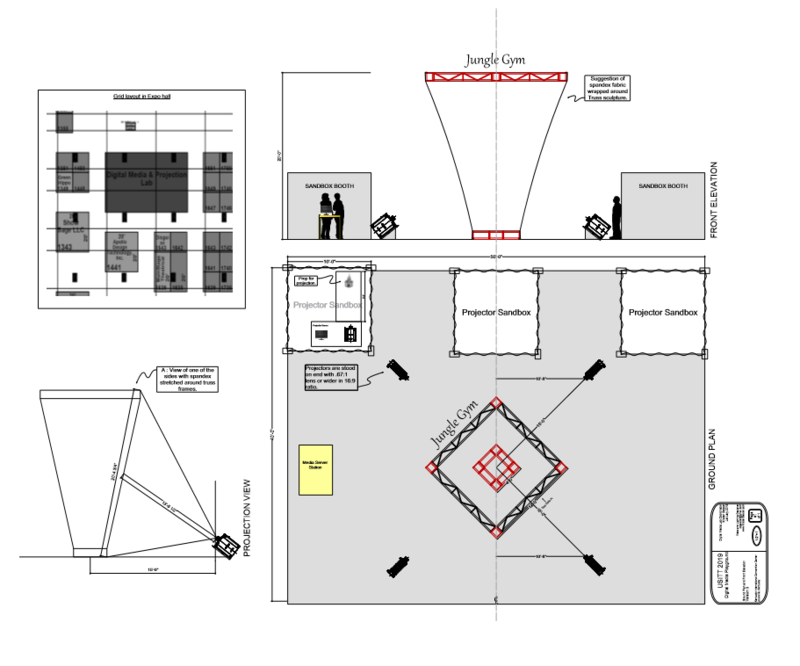 Below is a rough blueprint for how the space is taking shape.